If you’ve been searching for trucks for sale, you’ve surely come across Chevy’s impressive crop of pickup options. The brand provides an array of options that should fit any car buyer’s needs. For instance, if you’re pursuing a pickup to serve as your daily commuter, one of Chevy’s offerings provides excellent efficiency. If you’re going to be relying on the pickup to help at the worksite, there are several options that provide unmatched payload and towing capacity. You’ll presumably be dishing out some money in order to afford the impressive Chevy Colorado. However, thanks to the pickup’s incredible efficiency, you can account for your savings at the pump as you’re finalizing that purchase. The available Duramax 2.8L Turbo-Diesel 4-cylinder engine is widely considered the most fuel-efficient unit on the market. Thanks to an array of fuel-saving technologies, drivers can expect a 30 mile per gallon highway fuel efficiency. Ultimately, this would equate to a range that’s hovering around 630 miles. Fortunately, engineers didn’t compromise other aspects of the vehicle in their successful attempt to maximize fuel efficiency. Drivers can still anticipate 369 pounds-feet of torque, which plays a significant role in the best-in-class 7,700-pound towing capacity. Add in the 1,574-pound payload, and you’re looking at one of the most versatile pickups on the market. Of course, the Chevy Colorado provides a whole lot more than efficiency. If drivers are looking to enjoy more than their truck’s capabilities, they should consider opting for the 4G LTE Wi-Fi from OnStar. Therefore, if you or your passengers are required to complete any work while traveling, you won’t have to search for wireless internet access. Instead, you can browse the internet from the comfort of the pickup’s cab. The Chevy Silverado may be the brand’s most popular pickup offering, and for very good reason. After all, the model has consistently proven that it can be depended on for unmatched power, which can mostly be attributed to the array of best-in-class specs that are provided from the brand’s assortment of V8 offerings. For instance, drivers can reasonably expect that the Silverado will deliver a horsepower that’s hovering around 420. Meanwhile, the max towing capacity approaches 12,500 pounds, which is a number that’s practically unmatched in the entire segment. Perhaps most impressively is the adequate fuel efficiency, as the best numbers ultimately rate around a 24 mile per gallon highway economy. Thanks to all of these impressive specs, the vehicle was properly named the “Highest Ranked Large Light Duty Pickup in Initial Quality” from J.D. Power. Drivers are unlikely to find a truck engine that matches the capabilities of the Silverado 2500’s Duramax 6.6-liter Turbo-Diesel V8 engine. With all of the power that’s lingering under this pickup’s hood, you’ll surely be able to overcome any obstacle you come across. After all, the best-in-class 445 horsepower and 910 pounds-feet of torque are practically unprecedented. When you team up these power specs with the flexible Allison transmission, you can expect additional performance capabilities. The 18,100-pound towing capacity means you can haul whatever cargo you see fit, while the 3,534-pound maximum payload means you can fit additional equipment into your truck bed without worrying about compromised performance. While we’ve used a variety of adjectives to describe Chevy’s other pickup options, we’re going to solely rely on one of the Silverado 3500’s major traits to help accentuate why this truck is an ideal option. Thanks to the incredible power poised under the hood, including a 910 pounds-feet of torque, drivers should expect that their purchase can haul any cargo. The 23,300-pound towing capacity is an absolutely incredible number, and it means you could realistically haul several vehicles on the back of your Silverado 3500. There’s also a 7,153-pound maximum payload, which shouldn’t limit the amount of equipment you can stack in your truck’s bed. Fortunately, the Silverado 3500 makes it incredibly easy to control that hauled cargo, assuring that you won’t end up in an accident. The Trailer Sway Control will notify the driver when their hauled cargo is swaying. If necessary, the pickup will activate the Trailer Brake Controller, allowing for maximum control. Meanwhile, the available Diesel Exhaust Brake System will provide unmatched stoppage power, especially when you’re traveling downhill. In our opinion, there’s a major difference between towing and hauling. When I picture towing, I envision a pickup truck pulling another vehicle. When I think of hauling, I think of a truck loading as much construction aggregate into the truck bed as possible. Fortunately, the Silverado Chassis Cab delivers this attribute in incredible quantities. The vehicle predictably has an incredible 13,200-pound Gross Vehicle Weight Rating, so you should already be anticipating a rugged, durable truck. Add in the Vortec 6.0-liter Duramax 6.6-liter Turbo-Diesel V8 engine (or the alternative Vortex 6.0-liter V8), and you’ll be able to take advantage of the maximum 910 pounds-feet of torque. Ultimately, drivers can expect a payload that’s lingering around 7,312 pounds, so you shouldn’t have any issues piling your equipment into the Silverado Chassis Cab’s truck bed. Considering all of the incredible capabilities that the Silverado Chassis Cab can deliver, drivers may assume that the engine won’t last all that long. Well, Chevy gives you added confidence that you’ll never be stuck with a lemon thanks to the brand’s dependable Powertrain Warranty, which runs for five years and/or 60,000 miles. 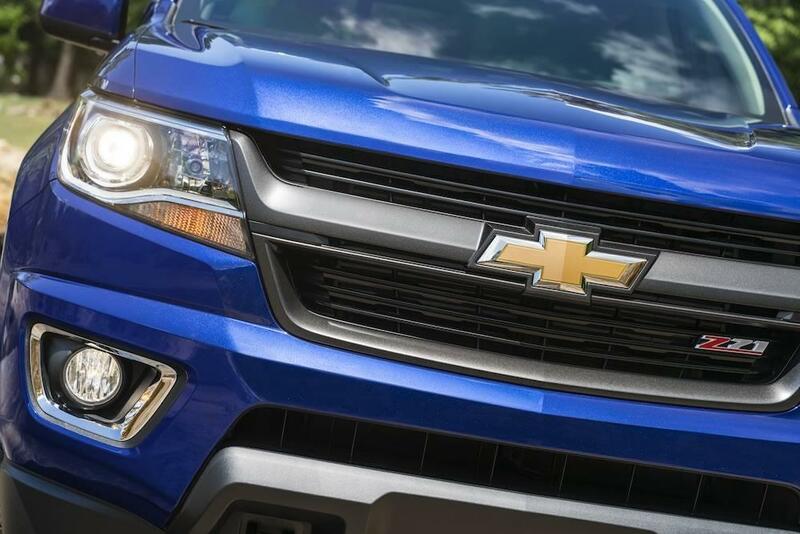 You should now have a better understanding of which Chevy truck best fits your needs. Therefore, instead of wasting time searching for trucks for sale, you can head into a dealership like DePaula Chevy and get started on the buying process as soon as possible.